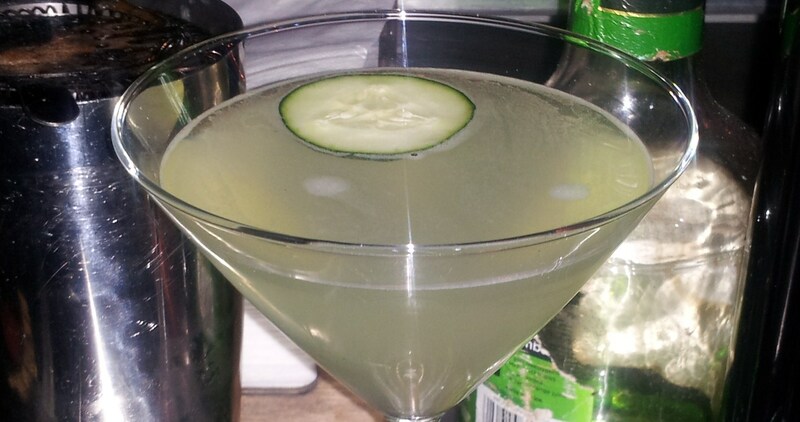 Try a Cucumber Melon-Tini: The Perfect St. Patrick’s Day cocktail! You don’t need to be Irish to be excited for Saint Patrick’s Day, if fact there’s only one real necessity: some tasty green St. Patrick’s Day cocktails! Whether you want one that’s clean and crisp, or one that goes down quick, here are a couple excellent recipes that you can whip up in no time! 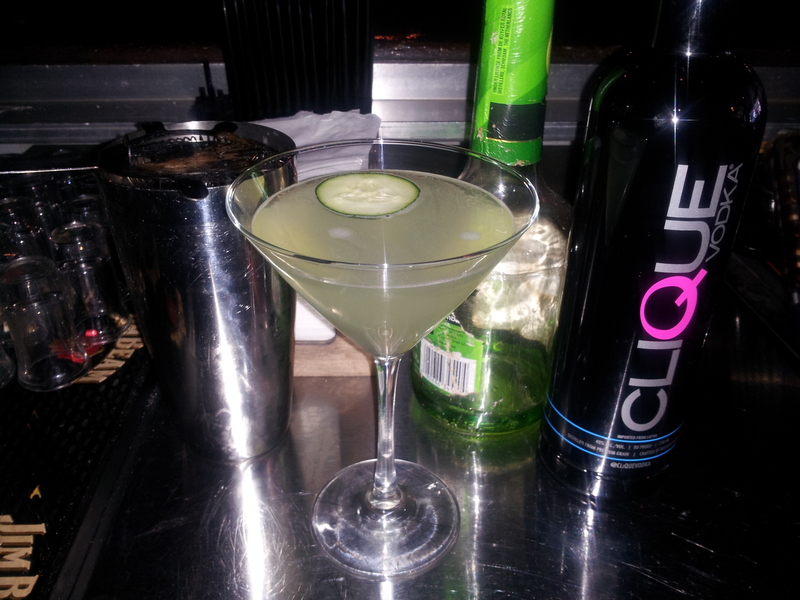 2 oz Clique Vodka, 1/2 oz green lemon liqueur, 1/4 oz fresh lemon juice, and 3 slices of cucumber (2 thick for muddling, and 1 thin to float on top). 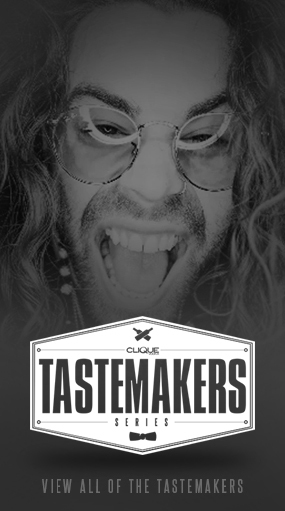 Muddle the 2 slices of thick cucumber in a cocktail tin 2ith the Clique Vodka until you get an even consistency. (A cocktail tin will have more traction for muddling and allow you to muddle quicker, but the picture above shows the contents transferred to a mixing glass so you can see the contents). Add ice, melon liqueur and lemon juice- then shake very well. Double strain (through a standard hawthorne strainer and a fine mesh one) to make sure all the cucumber pulp is removed, then gently float the thin slice of cucumber on top! 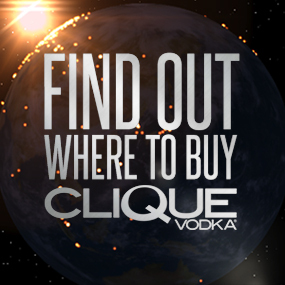 In a cocktail tin with ice, add 1 oz Clique Vodka, 1/2 oz pineapple juice, 1/2 oz sours mix (you can buy sours mix from any grocery or liquor store, or make you own with 2 parts fresh lemon juice, 1 part fresh lime juice, and 1 part simple syrup- which is just equal parts sugar dissolved in hot water. Fresh sours will start to turn bitter after a couple days so don’t make more than you’ll use! ), and 1 drop of green food coloring. Shake very hard and strain into a shooter glass. Duplicate the recipe as needed to make rounds of shooters! Once you strain the shooter into a glass, use the tip of the food coloring bottle to draw a lucky green shamrock in the foam!